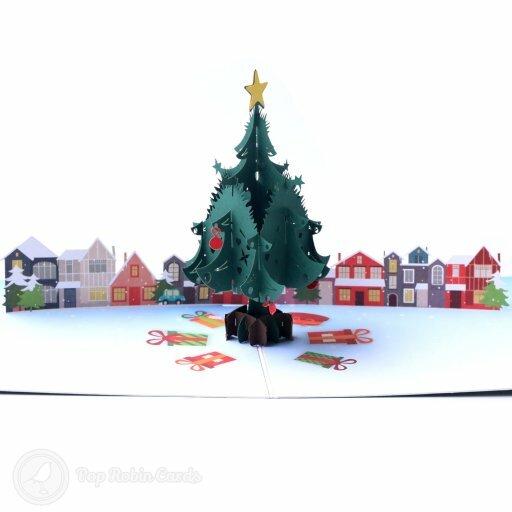 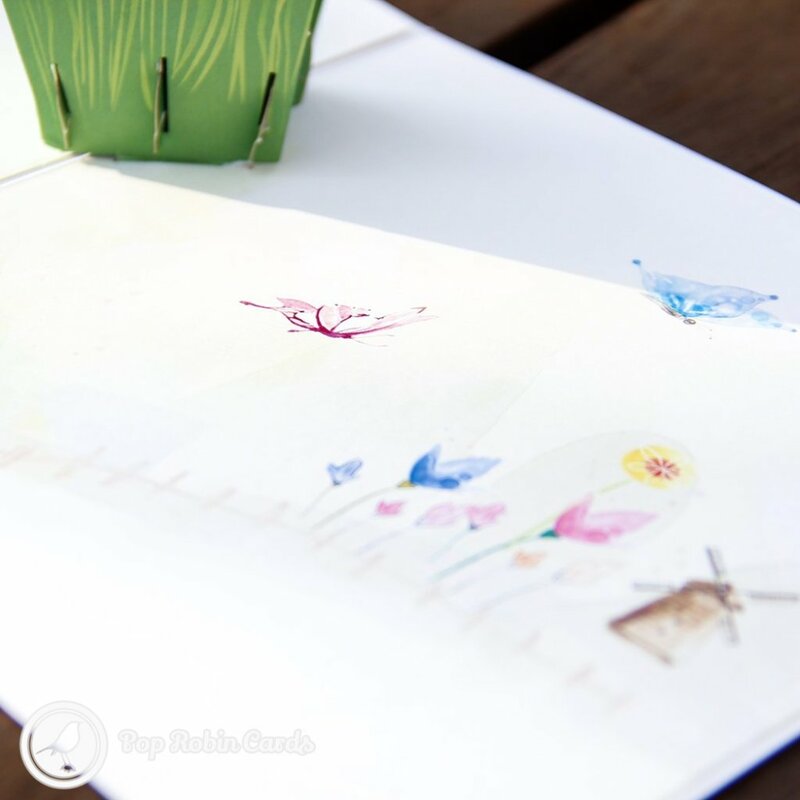 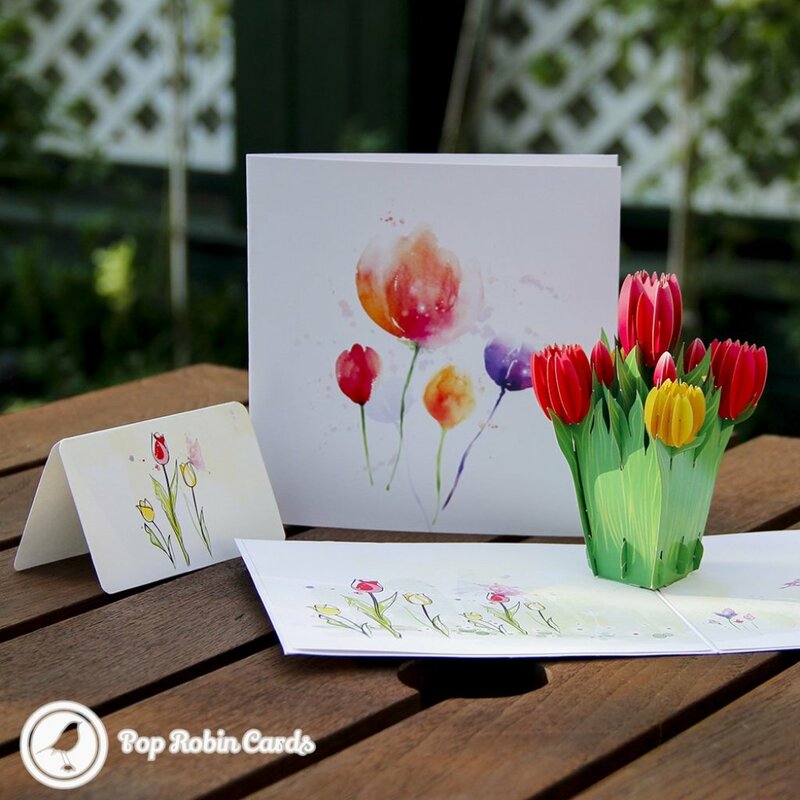 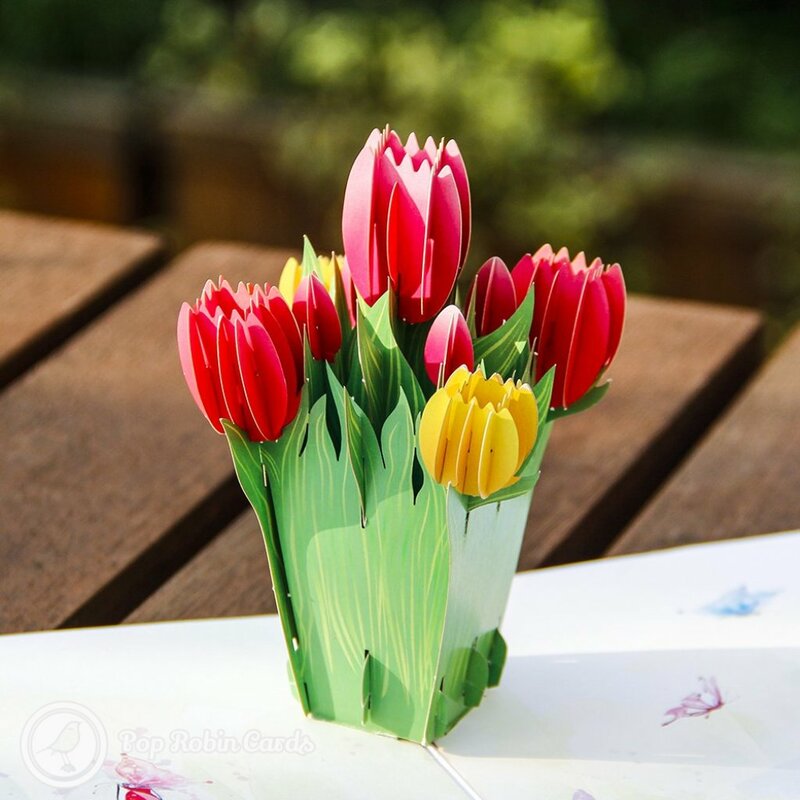 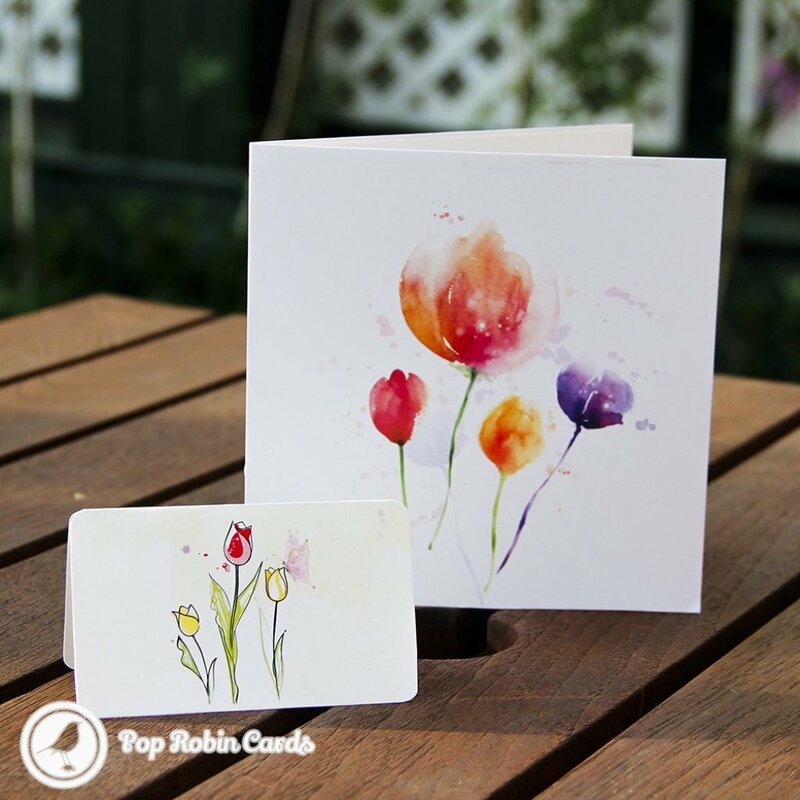 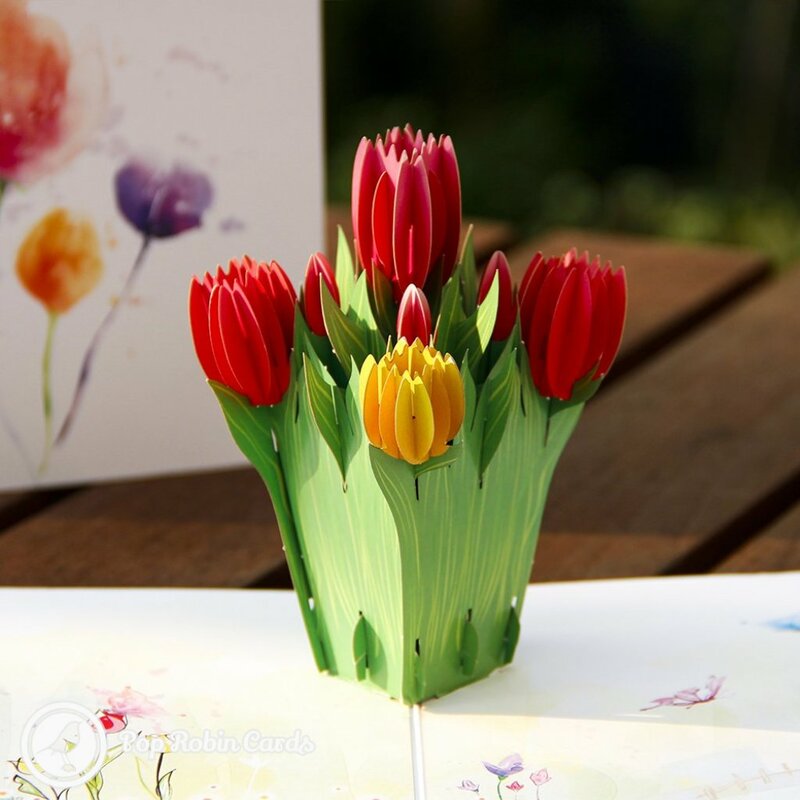 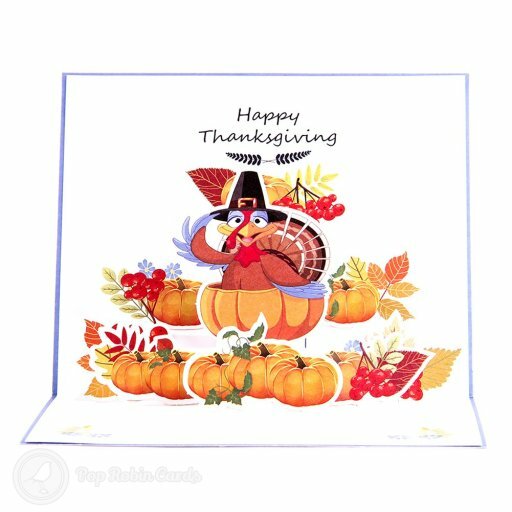 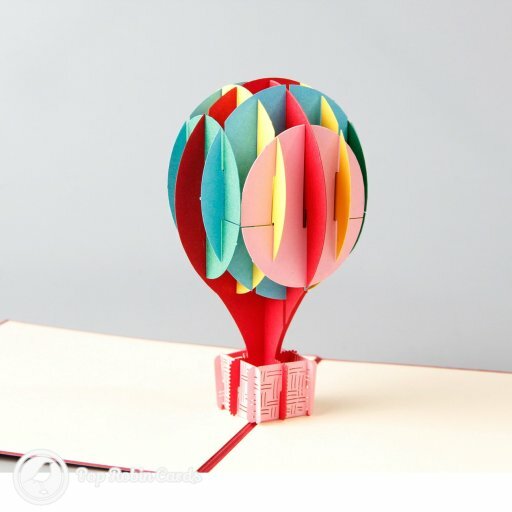 The beautiful tulips in this 3D pop up card are sure to brighten someone's day. 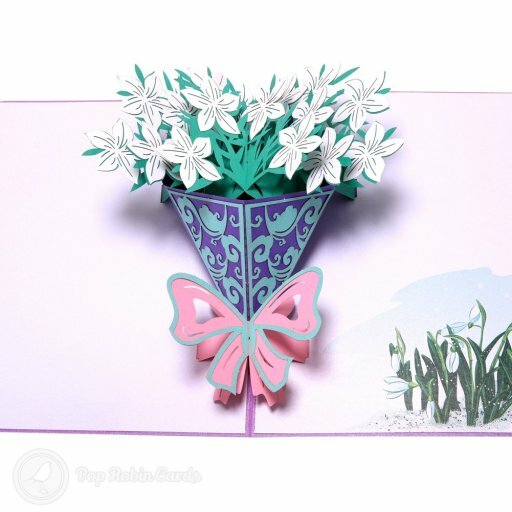 The card opens to reveal the flowers in a pop out design. 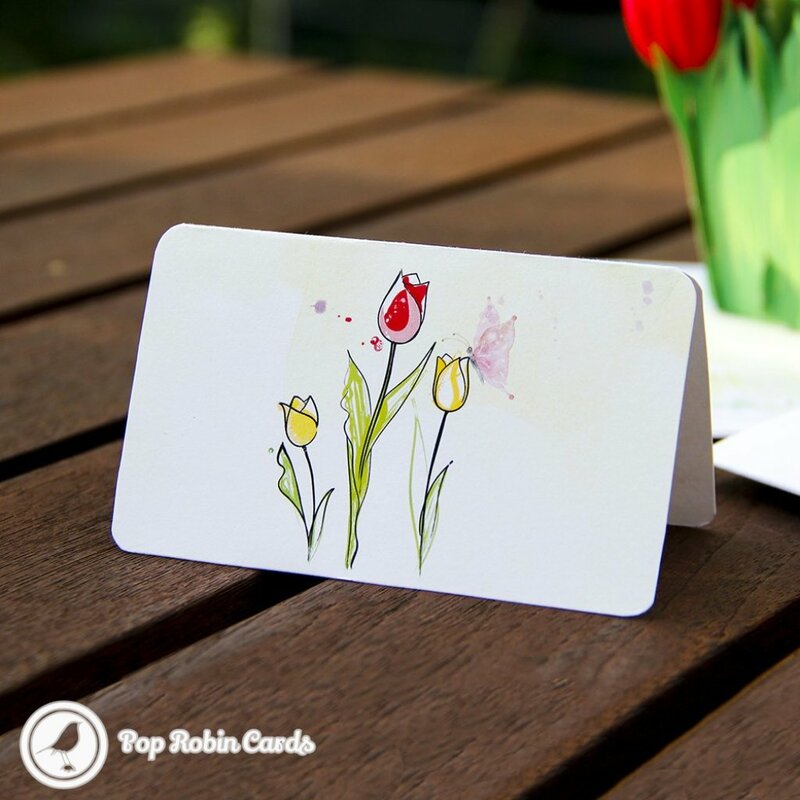 There is a small inner card for you to write your own message.